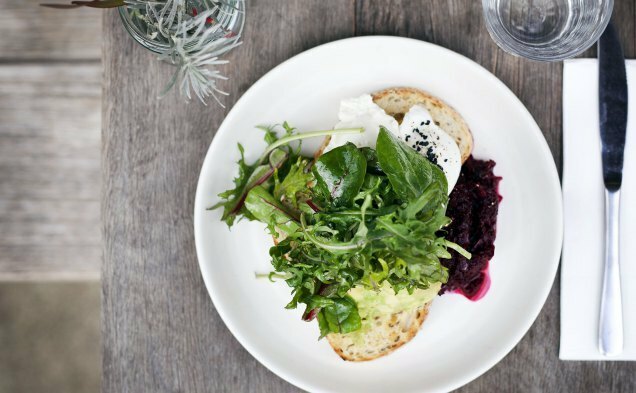 Melbourne is the ultimate breakfast city. 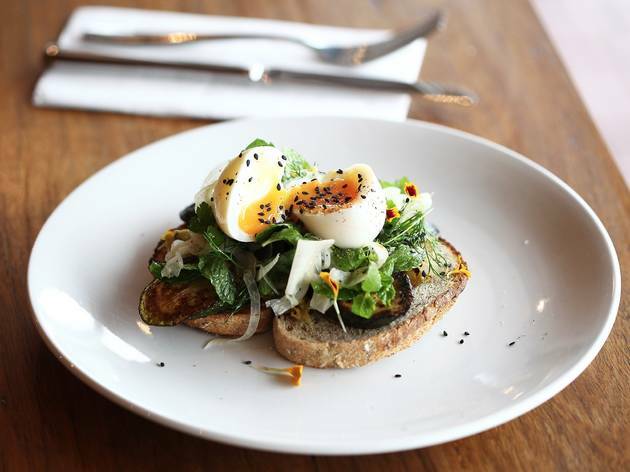 Whether you’re catching up with mates, hungover or hangry, we're spoiled for choice when it comes to our morning meals. 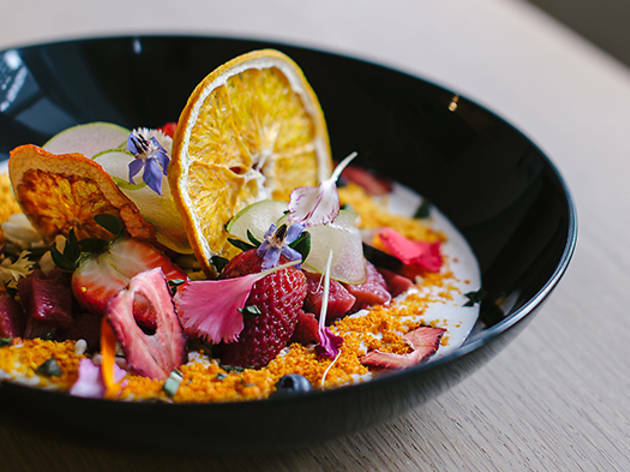 Here are the best breakfasts Melbourne has to offer. 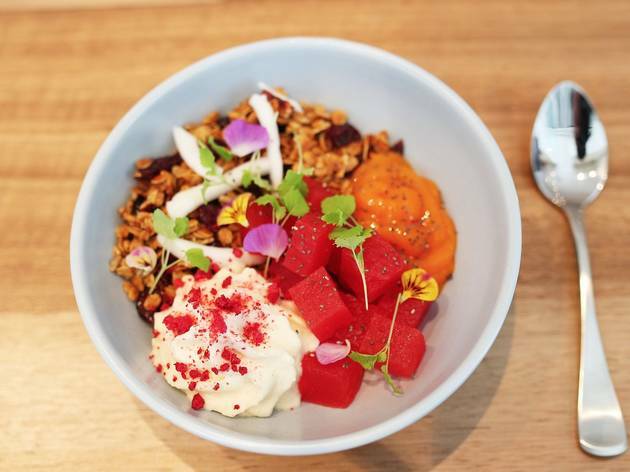 While you're on the breakfast bandwagon, you can also check out Melbourne's best porridge, or sweeten things up with one of our favourite hot chocolates. And hey, if all else fails, there's always milkshakes and doughnuts. 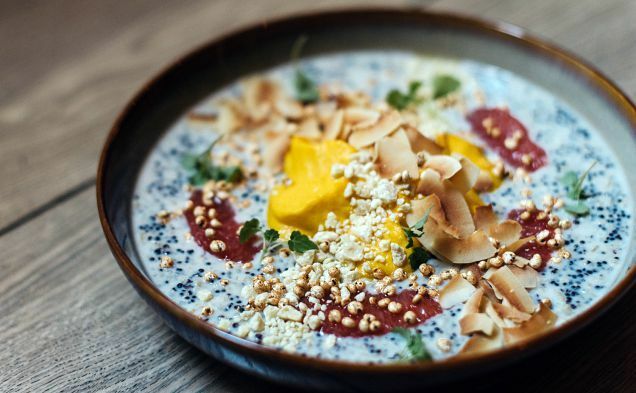 Chefs Kirsty Chiaplias and Ismail Tosun (formerly of the Workers’ Food Room and Gigibaba, respectively) have teamed up to open a café serving modern Turkish fare. They make everything from scratch, in-house, and all the action is visible from the 20-odd seats inside. On any given day, the fruits of their labour include piles of hearty salads that wouldn't look amiss in an Ottolenghi cookbook, teacakes, pastries, and Turkish breads like pide and simit. Perks: There's a speedy take-away counter for when you're on the run. Pastries, both sweet and savoury, change daily and are not to be missed. 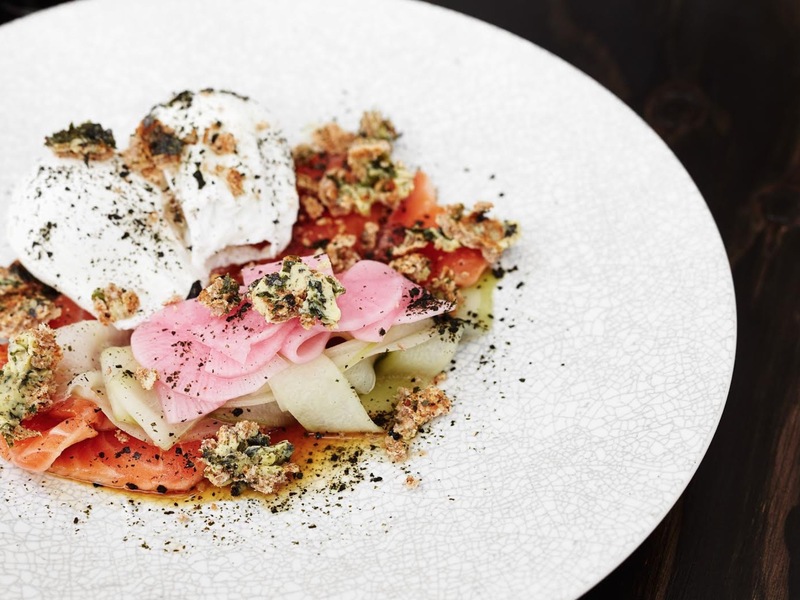 House-made coconut yoghurt; local kelp salt; ash rolls – these are a few of our favourite things on the menu at Top Paddock’s younger, more refined sister. 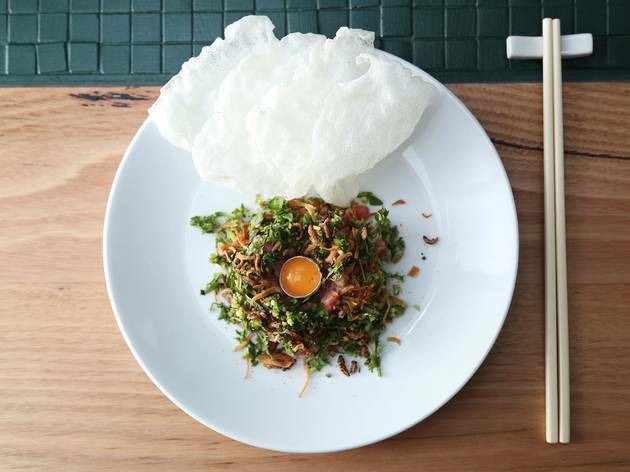 The care that goes into sourcing and preparing ingredients here is on par with some of Melbourne’s better dinner destinations. 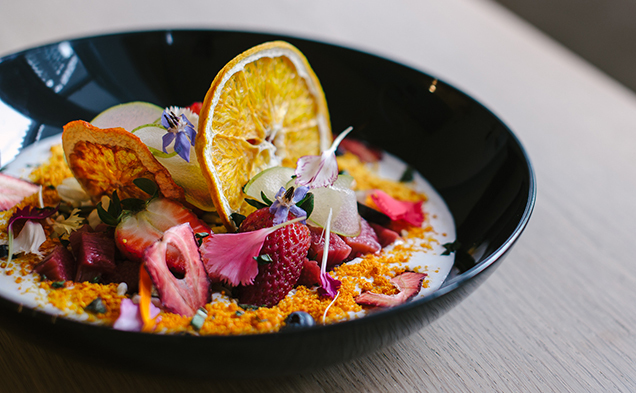 It’s most obvious in dishes like chilli scrambled eggs with cured Flinders Island wallaby and feta, and polenta porridge with burnt maple and textures of strawberry and basil. Housed in a shiny Victorian terrace beneath an apartment complex, the interior is as flash as the food: all white marble, gold and green. Not only does Footscray’s favourite café serve reliably good breakfast, it also makes you want to live in a shipping container. This cafe, fashioned from three of them, looks as good as any: think leather mid-century chairs in taupe, mustard yellow and olive, pale timbers, green tiling and fresh flowers aplenty. Outdoor seating is shaded by umbrellas and surrounded by planter boxes verdant with herbs, the latter of which feature on the menu. 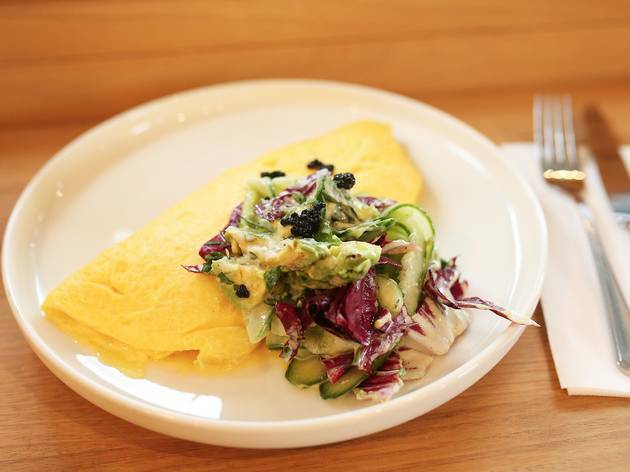 From the ocean there's smoked trout scrambled through eggs with salmon roe and pickled fennel. From the land, pork belly braised with crispy pig's ear, chilli and tamarind, served with fried eggs. Not bad for what was previously a derelict car park. 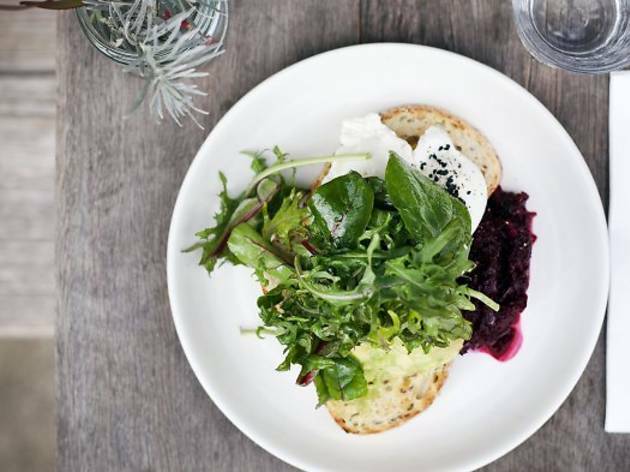 Brought to you by the team behind Collingwood’s popular Bluebird Espresso Café, Archie’s has been busily serving breakfast, lunch and dinner since opening in April 2015. Bluebird’s famous smashed avocado has carried over to the new menu, which also features huevos sucios (better known as ‘dirty eggs’) served with tater tots, salsa, black beans, fried eggs, chipotle mayo and jalapeño-spiked cheese, along with grilled French toast with sweet potato custard and smoked maple cream. With lunch served from 10am, you can opt for some serious burgers and sarnies for breakfast, too. Cibi is housed in a converted workshop – a bright and spacious room filled with light, decorated with an odd but pretty mix of colourful posters, tools and industrial flotsam displayed as art objects. The open-plan kitchen occupies pride of place directly behind the counter, where customers can watch their food being prepared if they are so inclined. The menu offers both Japanese and western-style dishes, with an emphasis on quality, organic ingredients and beautiful presentation. If neither the half-boiled eggs nor the avocado and lemon bruschetta appeal, try the Japanese breakfast plate, with rice, vegetables and either salmon or “more vegetables”. Perks: The cafe is attached to a Japanese handcrafted homewares store. Enter if you're feeling flush. 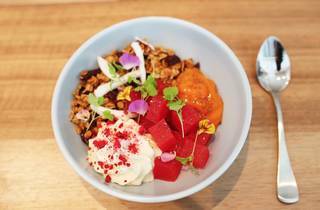 At the somewhat rejected end of the CBD is this gem of a breakfast spot: a lofty space that pays homage to its roots as a shipment holding store. Behind the barn doors is a place where bacon is dry cured and porridge comes with toffee pumpkin. 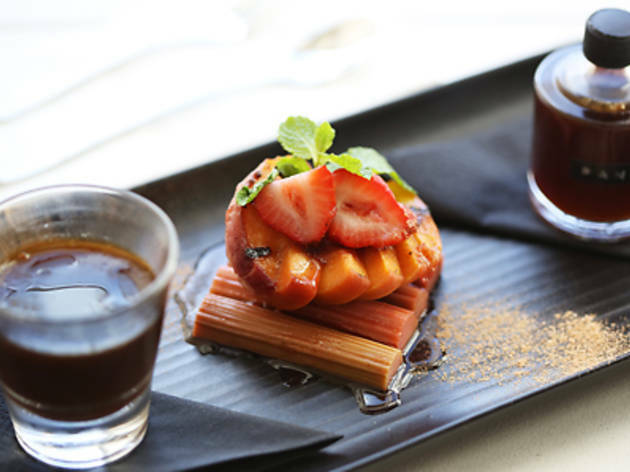 Mandarins are served as gel and carrots as caramelised jam. 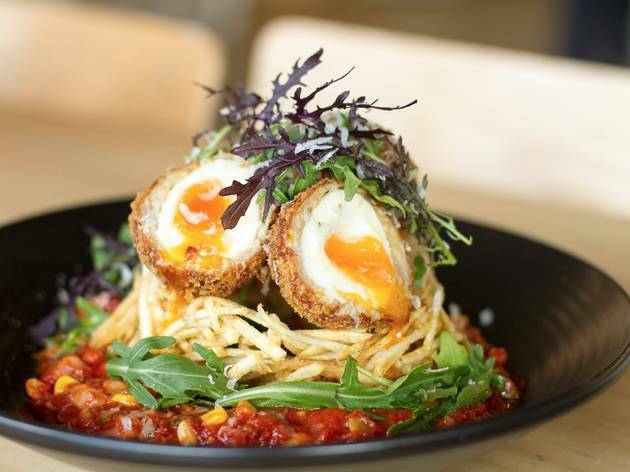 It’s complex but approachable, with dishes such as hazelnut hollandaise poached eggs on portobello mushroom and gruyere potato rosti having wide appeal. 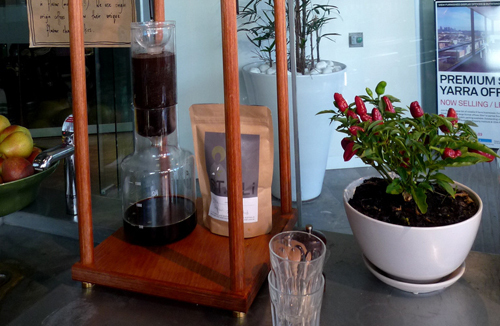 Located inside the Collingwood’s Children Farm, this café is an oasis in the middle of the city. Goats bleat in the distance, and chooks and peacocks roam free, fossicking for scraps as kids do their best to chase them down. A favourite brekkie is the Super Salad with molasses dressing and lemon cashew hummus, and the house-made organic beef sausage roll is a thing of spicy perfection. The Farm Café is completely outdoors, but there’s plenty of shade and heating should the weather turn. We’re not sure what we love most about Ora. 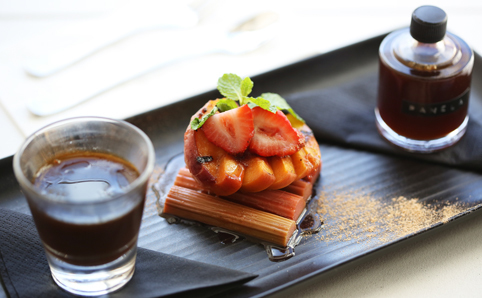 It’s a dead heat between the spiced tiffin egg – a halved, soft-boiled number rolled in a cashew crumb and flash-fried, before bedding down with finely diced and spiced potato hash and kasoundi (an Indian tomato chutney) – or the split shot: a hit of coffee split between an espresso and a piccolo latte, served alongside a mineral water cleanser. Perhaps it’s knowing that, whatever you order, it will be made from the best of the best. Converted warehouse. 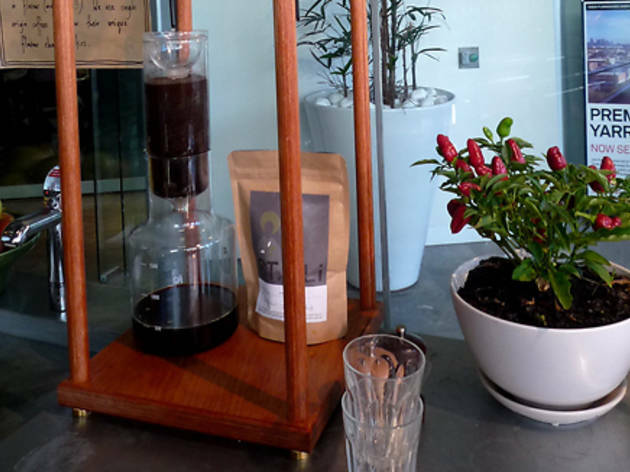 On-site coffee roasting. Progressive brunch menu. These are the sorts of phrases that send hipsters' beards into a twist. 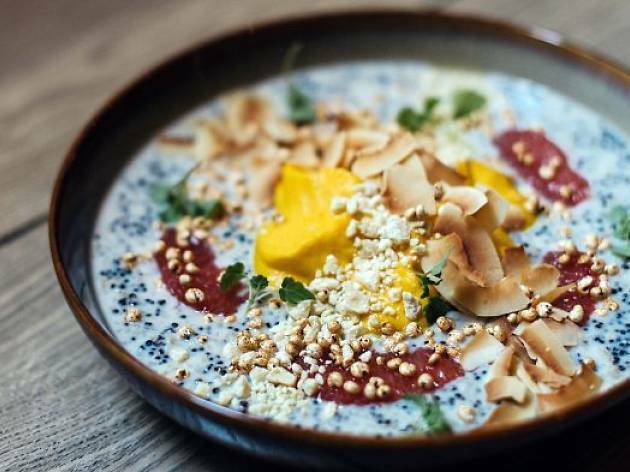 But Industry Beans has something for everyone, whether it's a too-pretty-to-eat dessert garden of coffee custard pudding, coffee caviar, cold drip gel, chocolate soil and pistachio sponge and tuille, or an avocado smash with chevre, charred lemon and green tea sea salt on sourdough. The best part? Watching punters at the CrossFit studio next door run laps of the block while pigging out on a coffee-rubbed wagyu burger. God bless America. The country gave us the Reuben, the lox bagel, and mac and cheese. 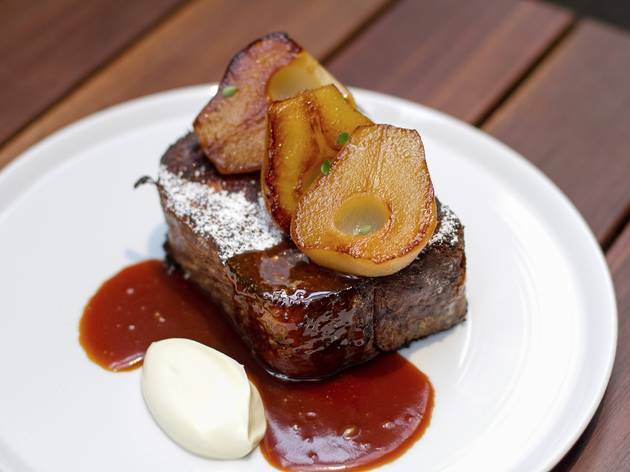 But it was Bowery to Williamsburg, the CBD laneway café modelled on a New York subway station, that gave us slow-roasted kaiserfleisch with maple mustard and poached eggs, along with fried challah topped with everything from whipped peanut butter to lemon curd. Dishes here are generous and satisfying. It’s more soul food than wholefood, with the sheer amount of melted cheese on said Reuben enough to slow your heart just looking at it. Everything in moderation. It’s always a good sign when you can’t decide what to order. It’s a common problem here, where breakfast is a cut above. Textures rule in dishes such as Wild Forest: a beautiful mess of chilli scrambled eggs with potato, mushroom, bacon, crackling and fennel. Also in the scramble department is Finding Nemo: chunky with salmon and covered in bonito flakes that wave in the heat. Amid the white-tiled, Edison-bulbed cafe are beakers and siphons, a hint at Lights in the Attic’s experimental nature. 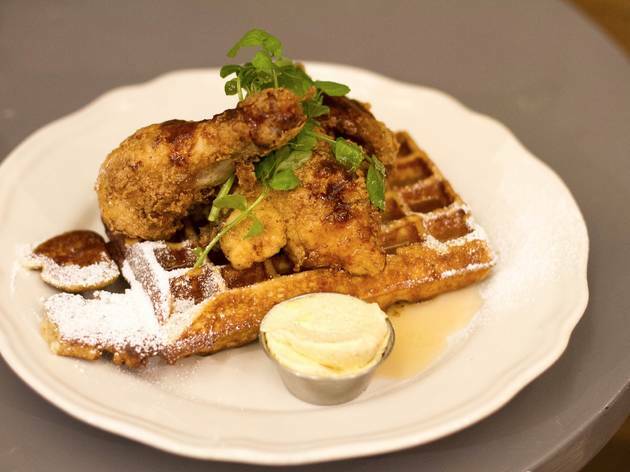 “Let’s hit up Balwyn for Sunday brunch,” isn’t something you often hear, unless the hungry uttering it are talking about Mr Hendricks. The owners, who grew up in the area, were all too familiar with the lack of breakfast options around. 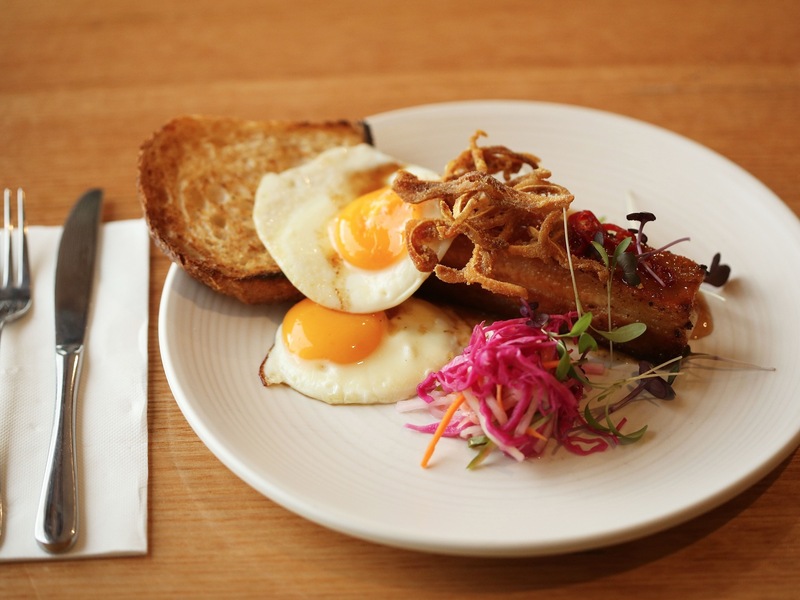 They’ve filled the gap with brioche French toast served with poached pears and caramel sauce, plus their #yolkporn-worthy crispy eggs coated in panko crumbs and deep-fried, cosying up with sweet potato puree, ham hock and fennel salad.